"Our findings suggest that there is a disconnect between hypothetical moral judgment and real-life moral behavior," says psychological scientist Dries H. Bostyn of Ghent University, first author on the study. "Not only did we find that hypothetical moral judgment appeared to be largely unrelated to real-life behavior, we also found that the individual difference measures that typically predict hypothetical moral judgment did not predict real-life behavior." The "trolley problem" has become a fundamental paradigm in moral psychology research in which participants encounter a hypothetical scenario involving a runaway trolley that is about to hit five people on the tracks. They can take no action, in which case all five people will die; alternatively, they can pull a lever and divert the trolley to another set of tracks, in which case only one person will die. Participants' decisions depend on whether they focus on the total amount of harm caused or on the moral principle to do no harm, and studies conducted over several decades suggest a variety of factors that are associated with the decisions people make. Despite the ubiquity of the trolley-problem paradigm, Bostyn and Ghent University colleagues Syben Sevenhant and Arne Roets noted that few studies have investigated whether responses to such hypothetical dilemmas actually line up with people's moral decision making in real life. A week or two later, the participants came to the research lab, where they saw an electroshock machine hooked up to two metal cages—one contained five mice, while the other contained one mouse. A laptop connected to the electroshock machine showed a 20-second countdown. The researchers told the participants that the cage with five mice would receive a very painful but nonlethal shock when the countdown ended; the participant could choose, however, to press a button to have the shock delivered to the cage with only one mouse. In actuality, none of the mice received an electric shock. Participants who preferred outcome-based reasoning were more likely to say they would press the button to divert the shock in the hypothetical scenario, and they expressed less doubt and discomfort with this decision. But participants' decision-making preferences were not associated with actual behavior in the lab-based experiment. 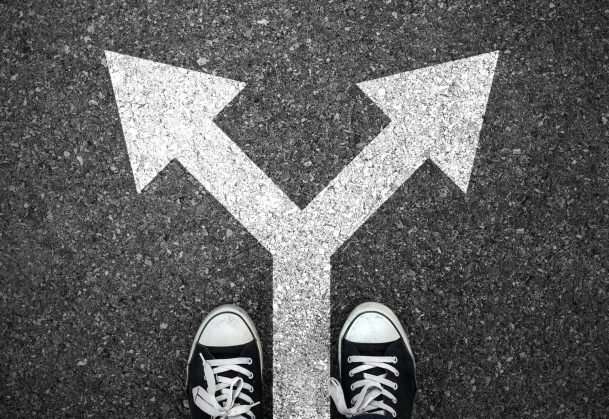 "Clearly, these hypothetical dilemmas are measuring something that is closely related to real-life moral cognition and we think that research based on hypothetical judgment is still crucial to the development of the field," Bostyn says. "However, our research does suggest that a literature focused only on hypothetical decision-making might be missing out on some crucial determinants of real-life moral behavior." "It could be that with hypothetical judgments we are free to pick the option that is most socially acceptable as we do not have to live with the consequences of that decision," he explains. "However, in real life, the pressure to 'do the right thing' is much bigger." What will people do for money? Just as I have been saying loudly for some time. For instance in the trolley or train scenario people are faced with 'becoming involved' or 'remaining aloof' which is a much bigger determinant of behaviour than the five or one deaths that might occur if they do not intervene.